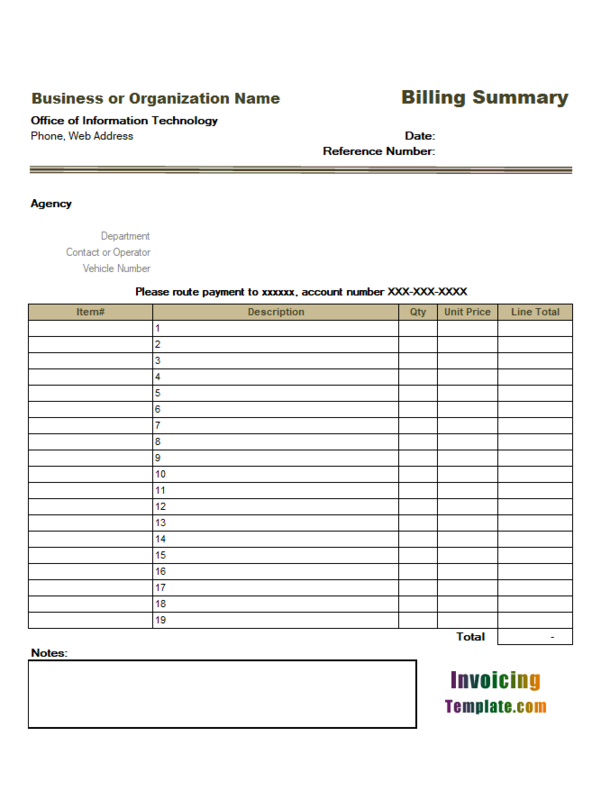 Billing Software Images is a sub-topic of Billing Software Excel Free Download . 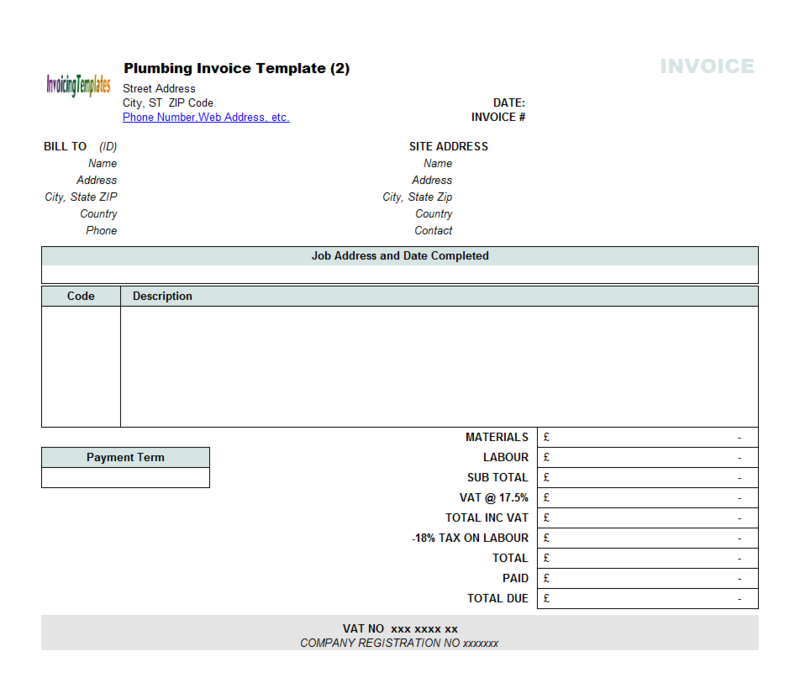 Here are our templates closely related to Billing Software Images. 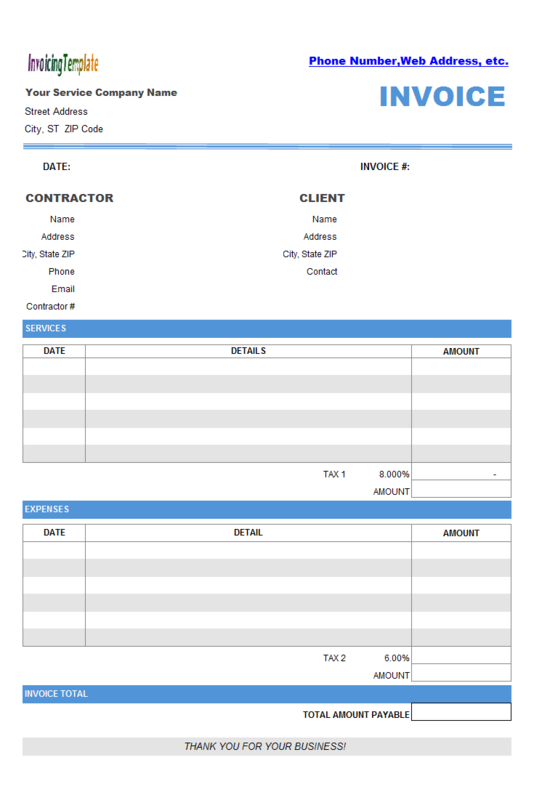 This drywall invoice example is a slightly modified version of c3009 Contractor Billing Format, and a sample in our contractor invoice templates. 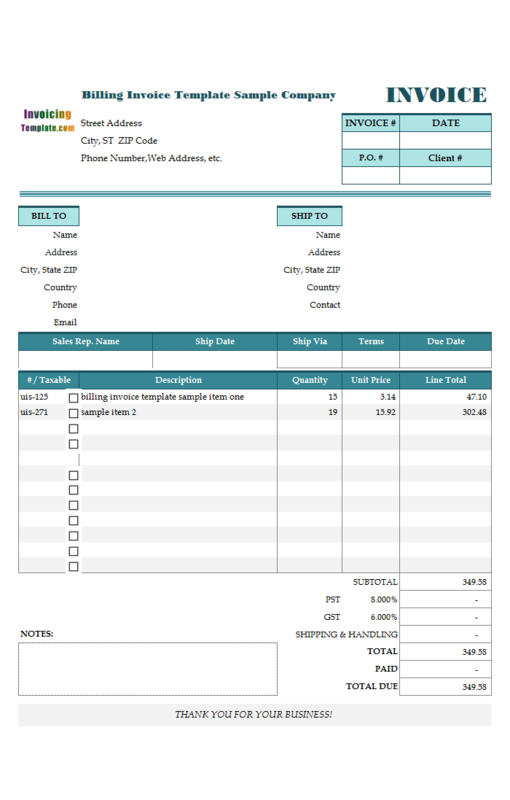 You may find many other templates online in various formats, such as HTML, Word (".doc" or ".docx"), or even Photoshop. 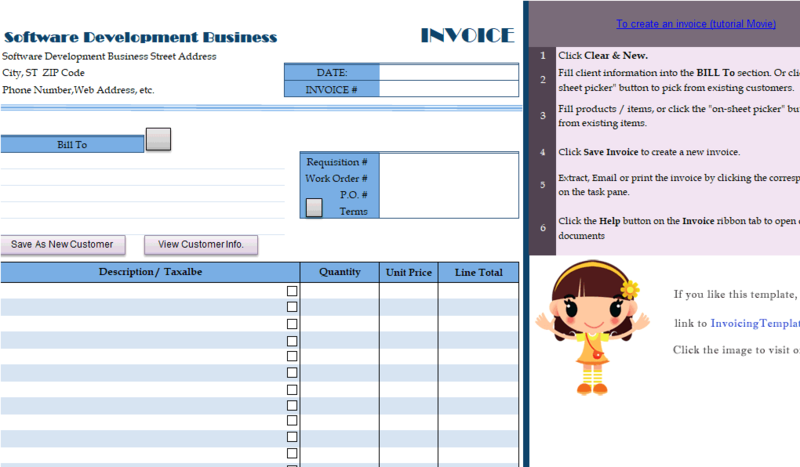 If you just started your small business and have limited budget, you need cheap and quick way to create and send bills and invoices. 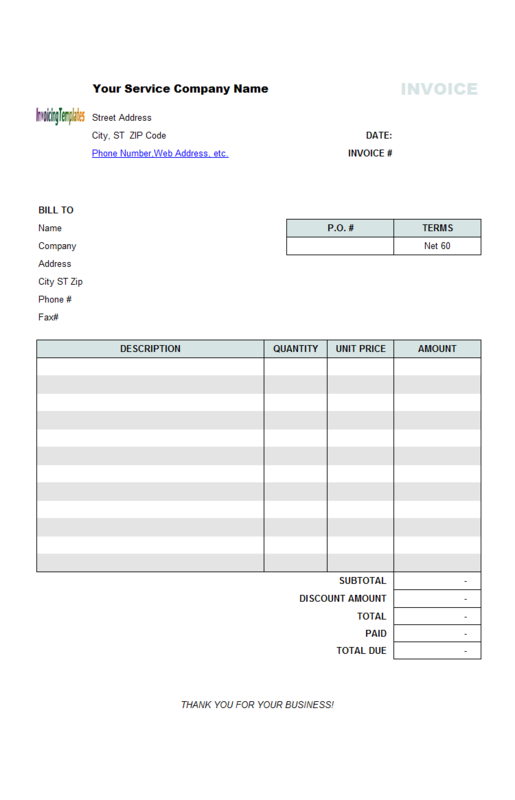 A billing invoice template is ideal for this purpose. 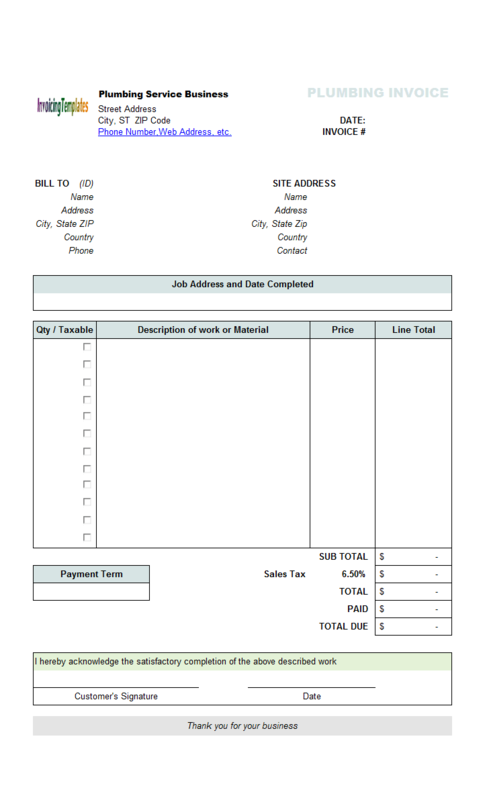 In this Contractor Invoicing Layout, we use the "Bill To" found on the original invoice template for "Contractor", including name, Address, City State and ZIP, Phone, Email and Contractor#; and, we use the "Shipping To" section for "Client", including its Name, Address, City State and ZIP, as well as contact information. 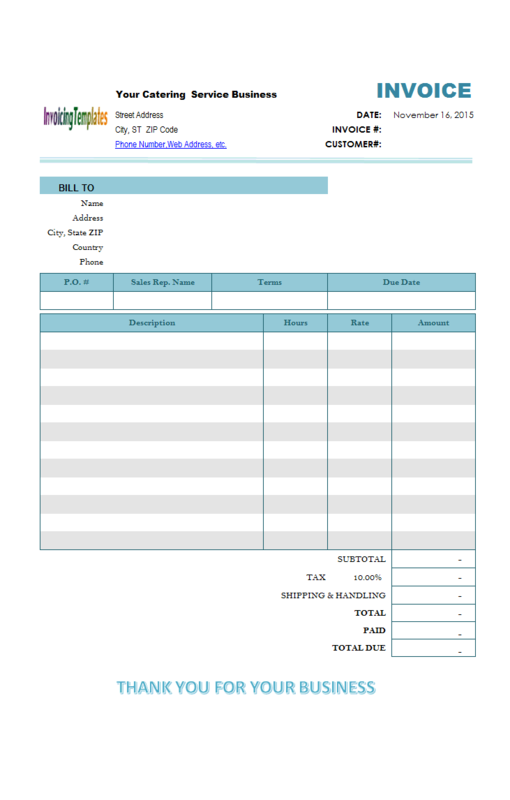 This Nigeria Invoice Template / Nigeria Billing Form features 4 columns including item description, quantity, unit price and line total. 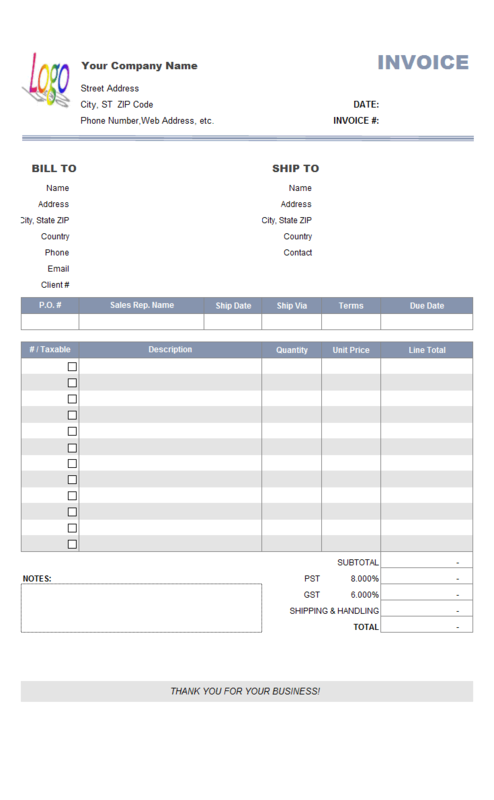 As a sales invoice template it also features a shipping address section, in addition to the "Bill To" section. 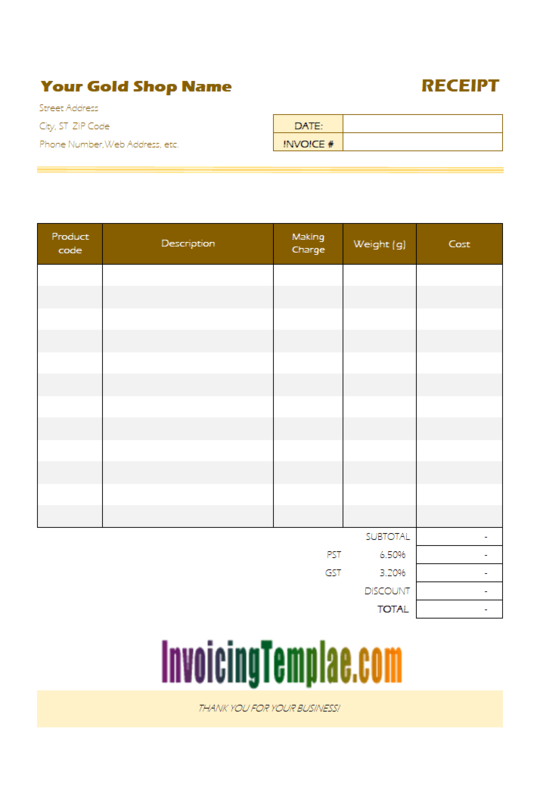 The cash receipt templates here on InvoicingTemplate.com calculates the line total of each item being sold by using the formula: Weight * Rate + Marking Charge. 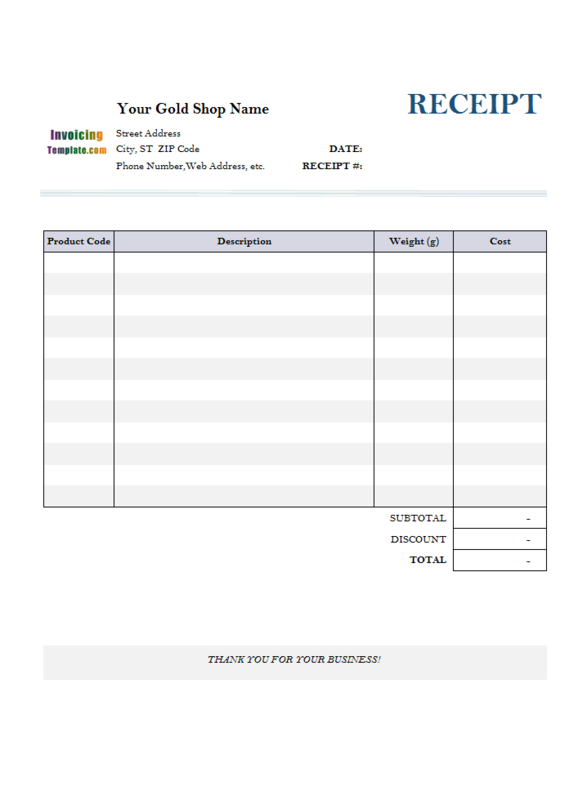 Both free receipt templates, Receipt Form for Gold Shop (1) and Receipt Form for Gold Shop (2), use the same formula for calculating line total. 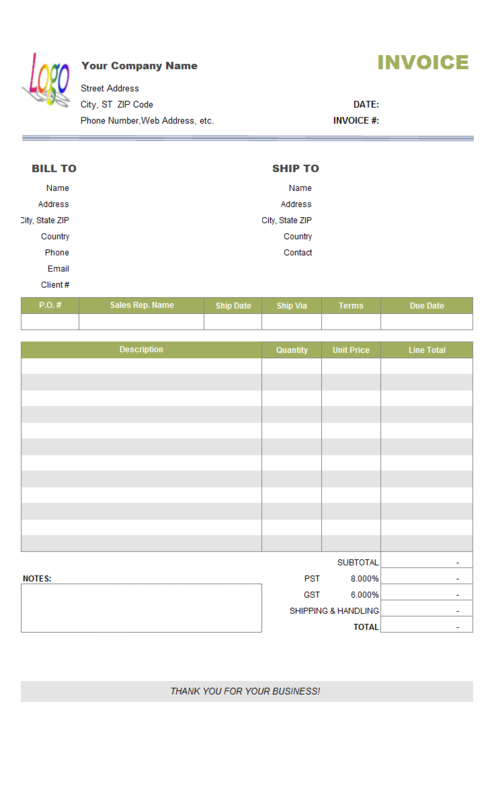 The default invoice template shipped with Invoice Manager for Excel (namely Uniform Invoice Software) setup program (See Free Sales Invoicing Template), as well as its customized version c5075 Simple Sample Invoicing Template - Moving Cells, both have the Item# column put on the printable form. 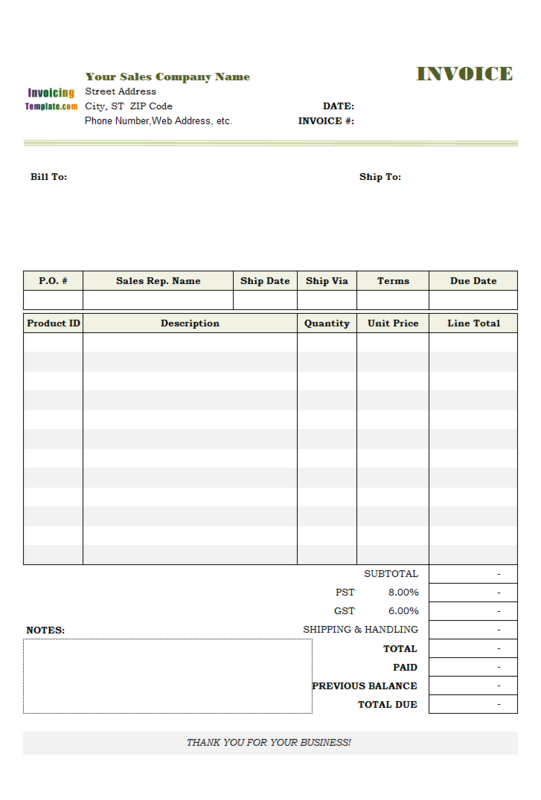 When the discount field is a percentage, the total is calculated with an Excel formula like " =ROUND(IF(oknInvDiscount=0,oknSubTotal,oknInvDiscount*oknSubTotal),2)". 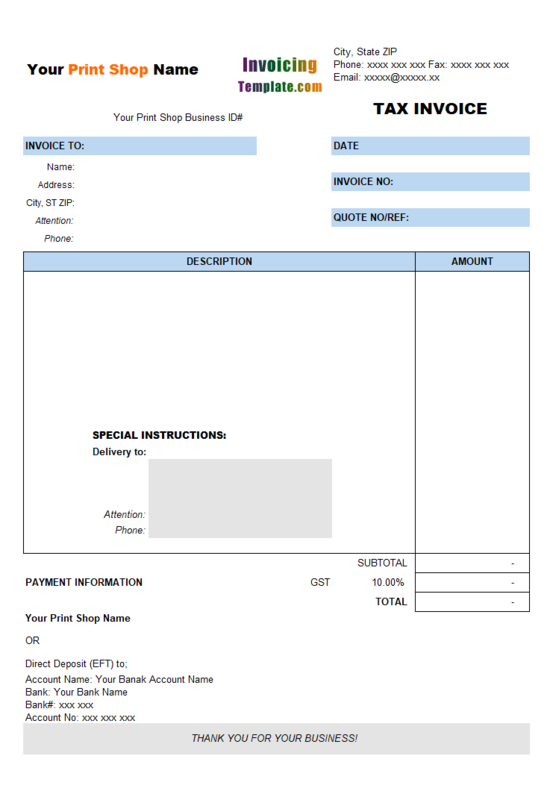 In this Service Billing Form with Discount Amount, since the discount is an amount, the total is now calculated with an Excel formula like " =ROUND(oknSubTotal-oknInvDiscount,2)". 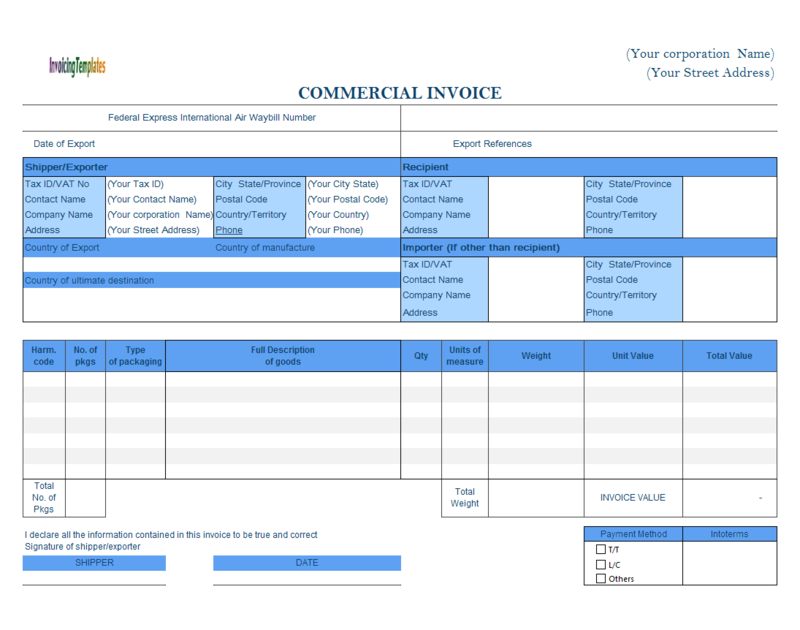 This free invoice template is a service invoice template, meaning that there is no fields defined for shipping address information. 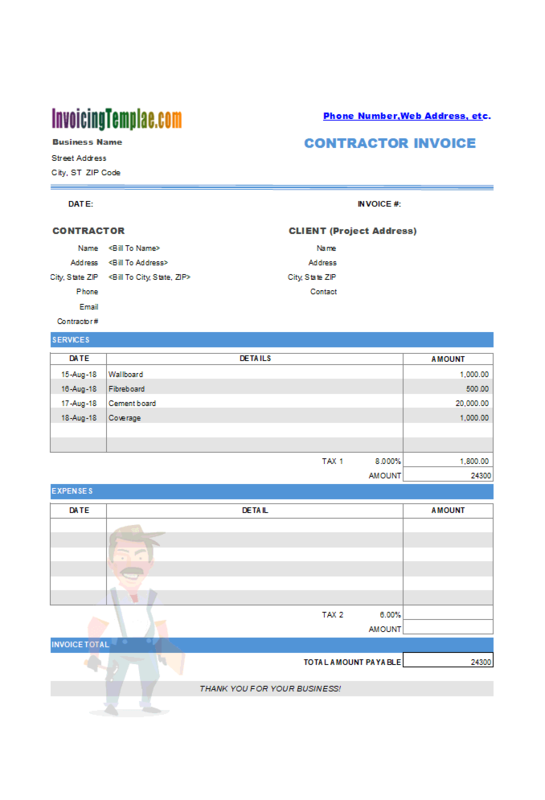 Fortunately customizing and designing a template is not as hard as it sounds, especially with the help of Invoice Manager for Excel (namely Uniform Invoice Software). 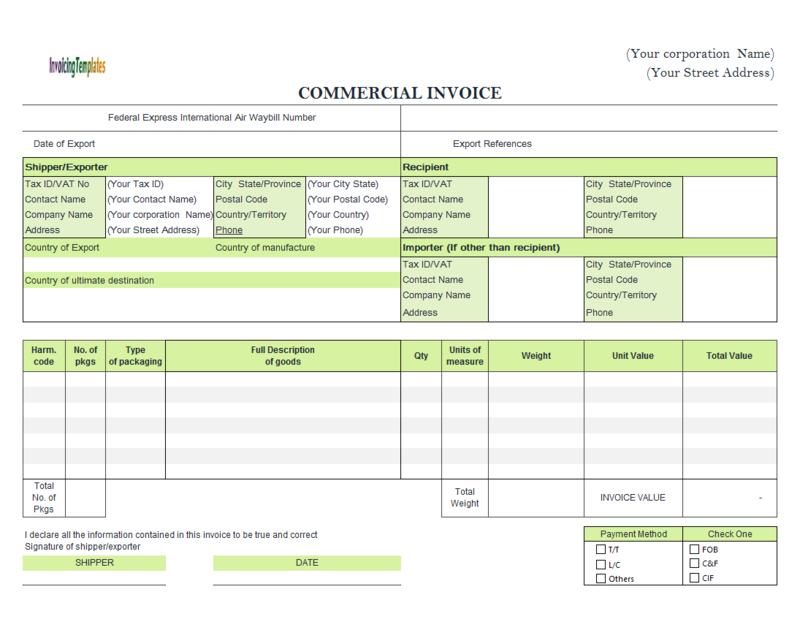 The main reason of this is that Microsoft Excel already provides thorough and robust form design support. 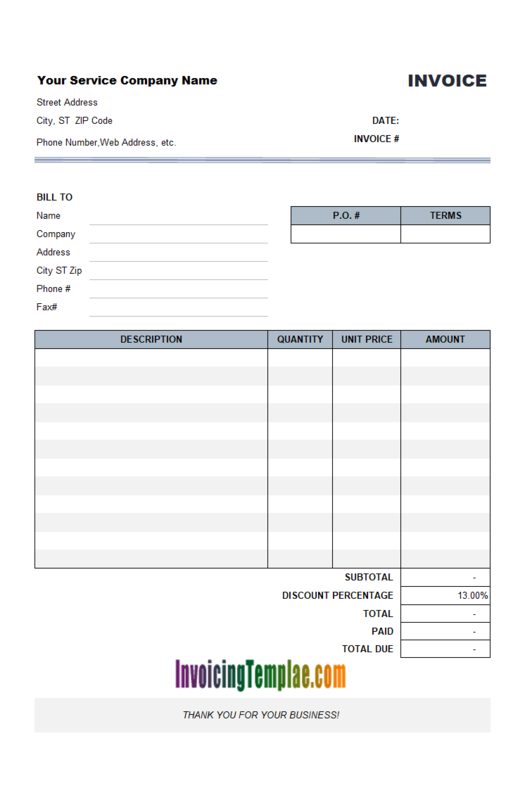 Microsoft Word has this type of form design support too. 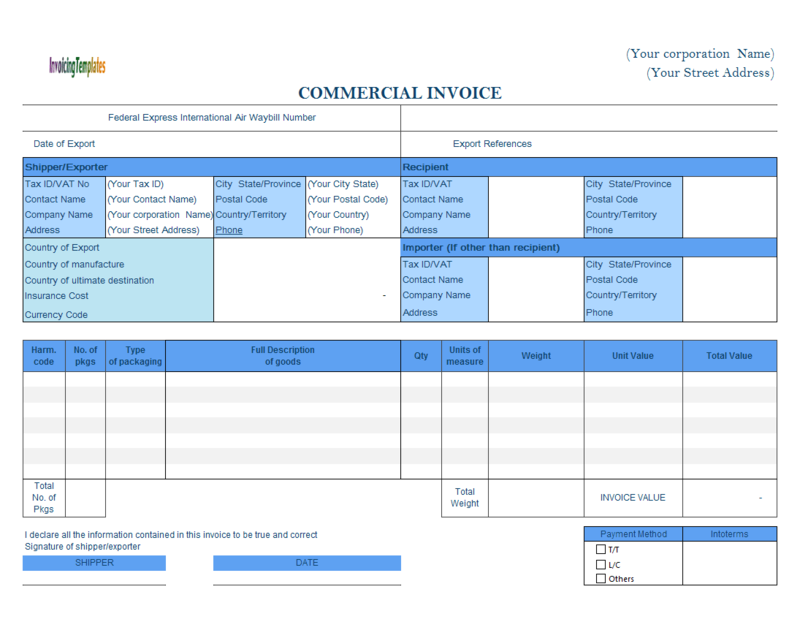 But the advantages of Microsoft Excel is that doing calculation is much easier in Excel with the support for formulas, which is very helpful in invoice calculations. 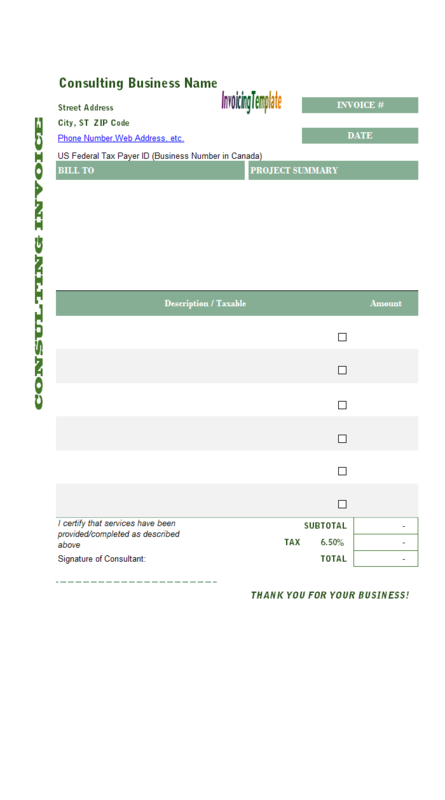 Whether your consulting business is running as a personal consultant or a group of consultants, to get paid timely you'll have to issue consulting invoices. 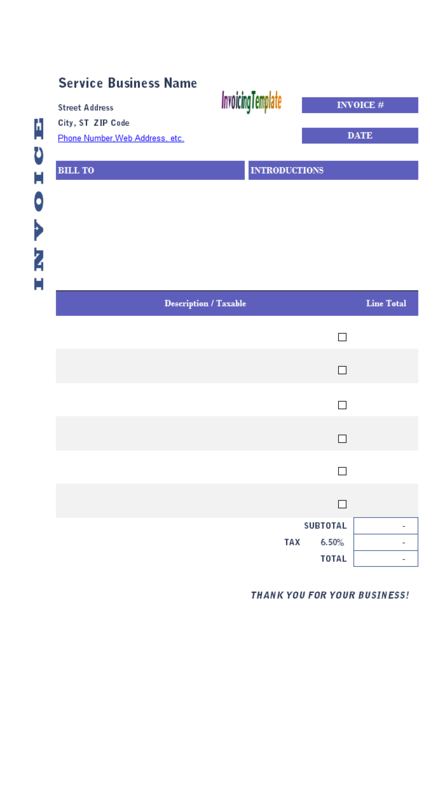 A template like this one helps you done the job easily. 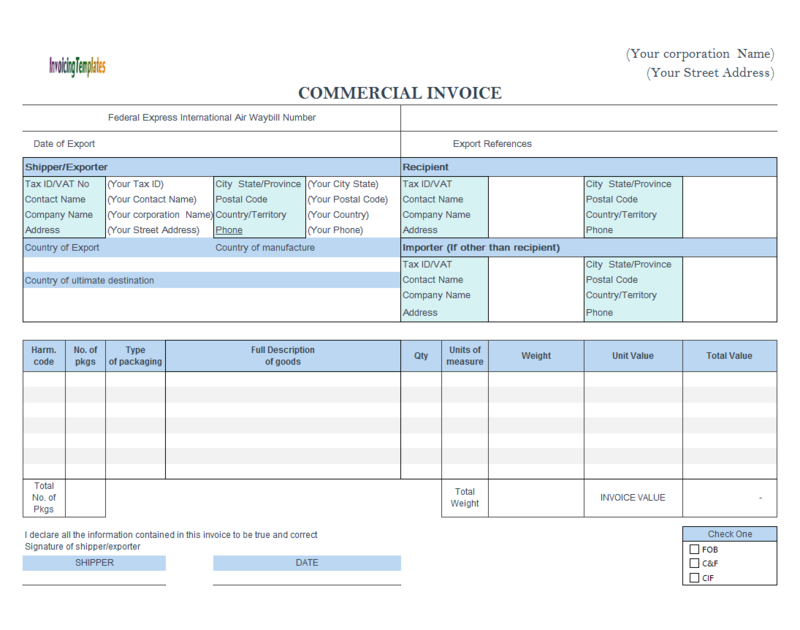 However the support for custom fields in Invoice Manager for Excel (namely Uniform Invoice Software) makes overcoming this limitation easy and quick. 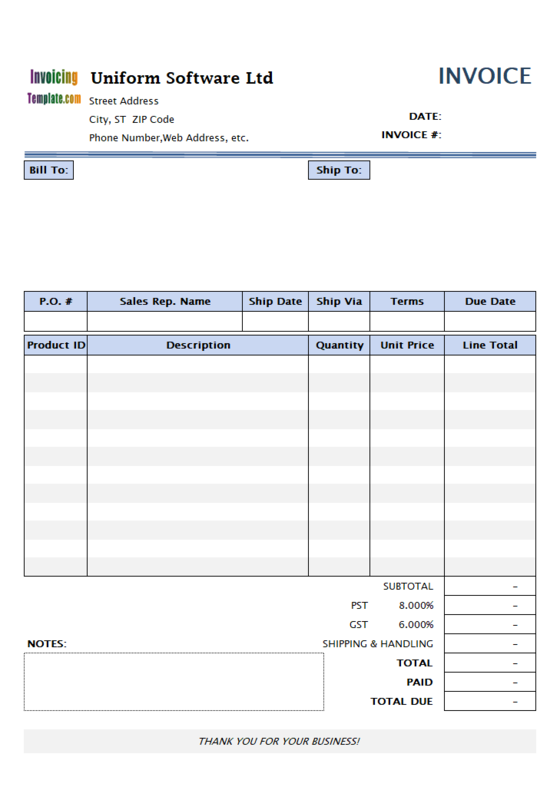 What you need to do is to add the custom field "Product Category" to the invoice body database table, and then name a column of cells where you want to display the category when creating an invoice - in this sample, we don't want to show product category on printed invoices, so the product category column is defined outside the printable area. 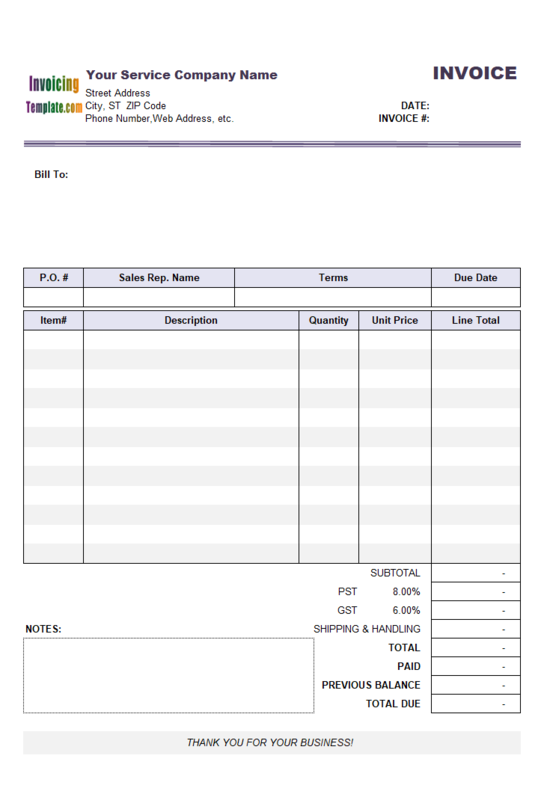 On InvoicingTemplate.com here we distribute Sales Invoicing Template and Service Invoicing Template with a simple rule - if an invoicing form contains a shipping address section, where you can fill in the address of products / goods should be delivered to, we say it is a sales invoice template. 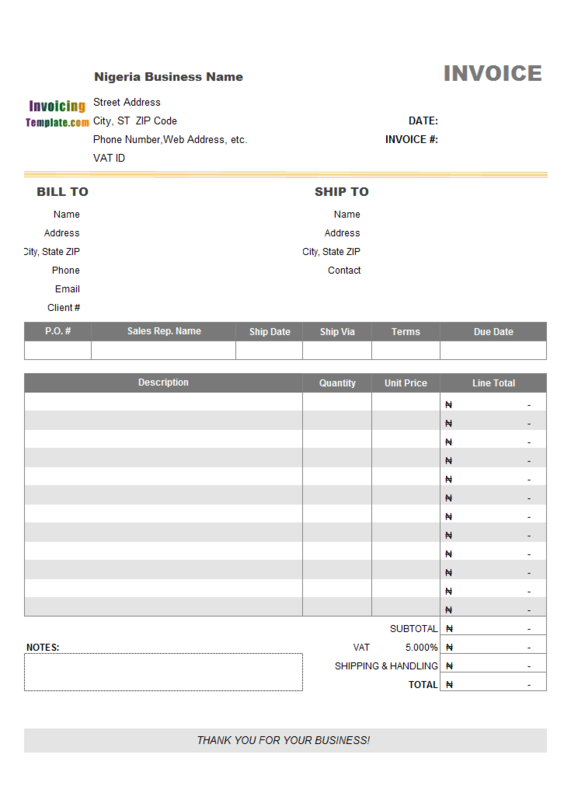 If a form contains no shipping address (or the shipping address section is out of the printable form), we say it is a service template. 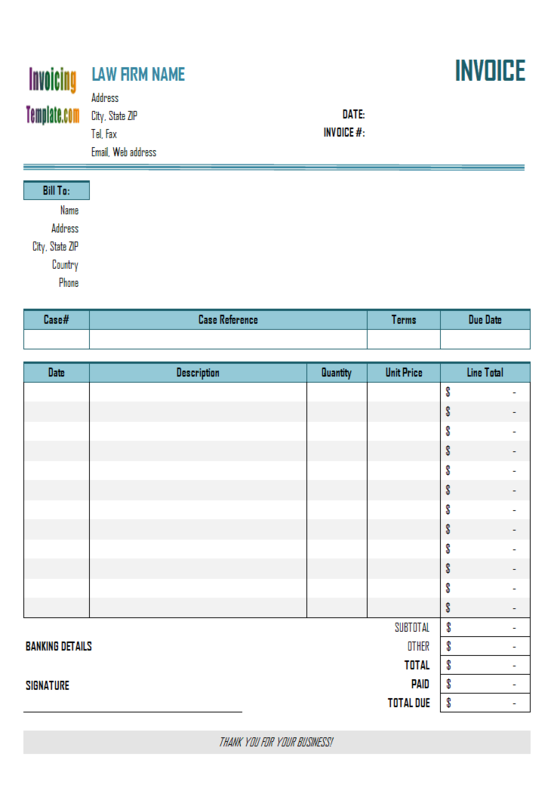 A service billing format, like this one, is suitable for service providers who don't delivery products and therefore don't need the shipping address fields on the form, for example legal, medical or health care, accounting or financial services, freelance work, designer, website development, copywriting & proof, consulting, handyman work, real estate, education, communications, housecleaning and babysitting, storage, processing, landscaping and gardening, auto repairs, catering, child care, pet care, advertising, tutoring, and other service businesses.